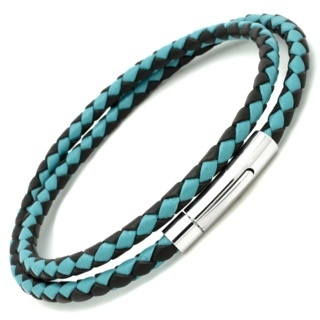 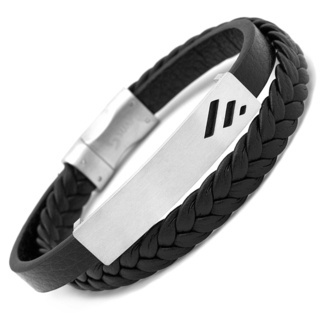 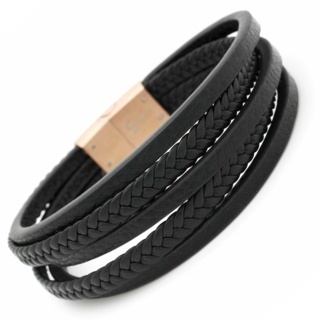 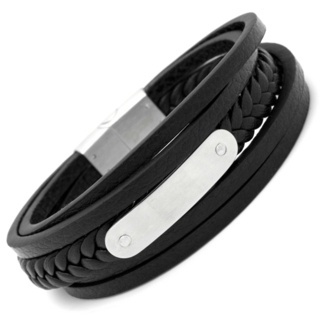 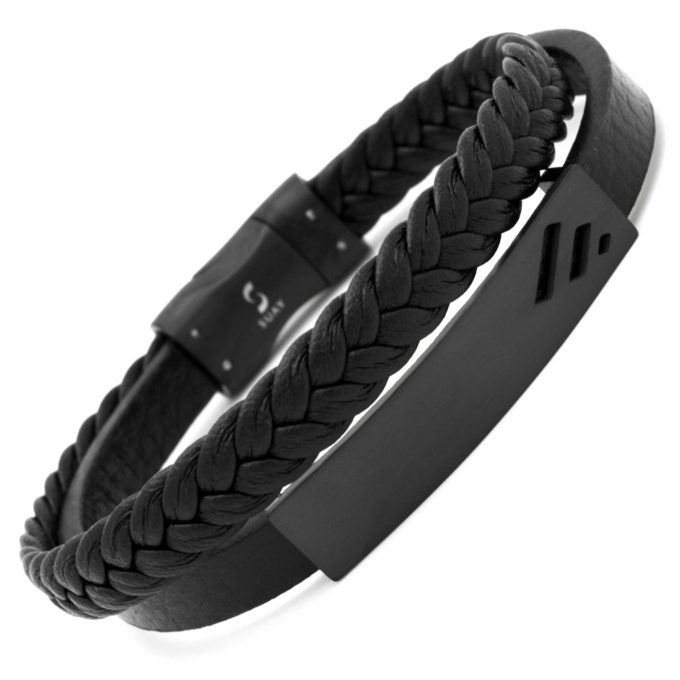 Ultra cool double black leather bracelet, with one woven leather piece and one plain complimented with a black central feature with a satin finish. 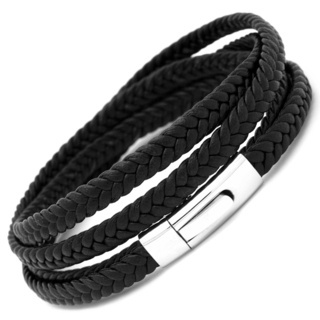 Leather width, woven 9mm, plain 8mm, central feature 10mm. 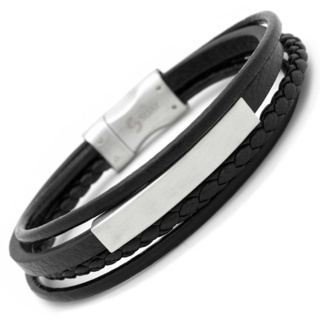 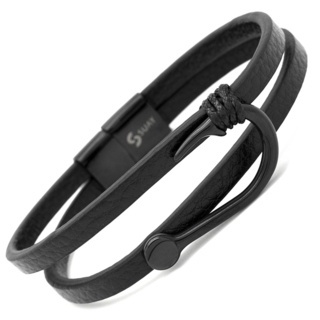 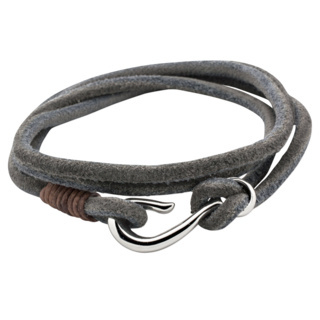 Fastened with a satin finished tactile black stainless steel clasp.